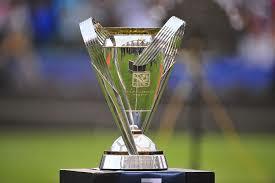 The PSRA is very concerned by the actions of PRO and the MLS Independent Review Panel following the events of the Orlando City SC vs. Chicago Fire match on June 4. 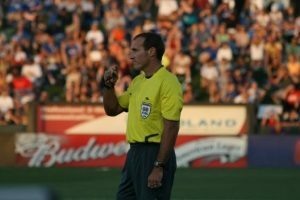 PRO privately supported our officials for taking the proper, and courageous, red card action on the field and then publicly condemned the decision days later via the unanimous Independent Panel, which voted to rescind the red card fine and suspension to Orlando City SC defender Rafael Ramos. 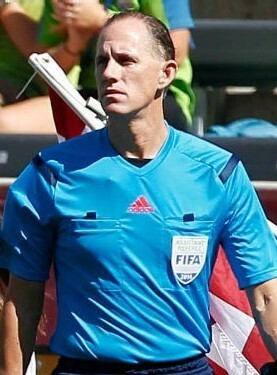 In response to various recent events, the Professional Soccer Referees Association would like to use the aforementioned match as a backdrop to explain the decisions our officials are asked to make on the field, the protocols that follow an MLS game, and the post-game assessment process that is conducted by the Professional Referee Organization. This past Sunday, in an MLS match in Orlando, Rafael Ramos of Orlando City SC was sent off for Serious Foul Play. Mr. Ramos made a tackle that endangered the safety of an opponent, and did so by using his studs to make contact with the right knee of his opponent, Brandon Vincent of the Chicago Fire. Mr. Ramos was sent-off for a “studs exposed tackle that endangered the safety of the opponent,” per the MLS Referee Match Report. The pool reporter shall be a member of the working media who is designated 30 minutes prior to the Match. The name of the pool reporter and the alternates will be displayed in the locker rooms at each venue. Mr. Gramajo originally tweeted “From referee liaison: Ted Unkel and referee staff declines to comment on red cards issued to Rafael Ramos & Antonio Nocerino.” In a subsequent tweet, he clarified that “It turns out the club did not have my name on the referees [sic] locker room hence why officials denied [sic] to comment.” This mistake by Orlando City SC is what prohibited the referee crew from explaining the reasons behind both the red card to Rafael Ramos and to Antonio Nocerino. As part of the normal review process, each match is assessed by a PRO Assessor and each major decision is notated as a Key Match Incident (KMI). The assessor for this match reviewed the match and made detailed notes regarding the performance of the referee crew. Per the Collective Bargaining Agreement, PSRA receives a copy of each assessment. With respect to the two red cards that were issued to Orlando City SC, the assessor deemed the decisions correct and marked them both as KMIs, which would be normal for major decisions in a game. 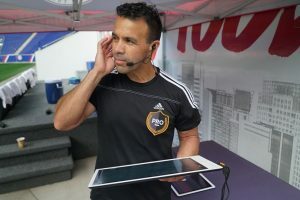 As a result, those plays were put under further scrutiny by PRO’s KMI Review Panel, which pursuant to the PSRA-PRO collective bargaining agreement, is comprised of PRO’s General Manager, Training & Development Manager, and Referee Manager. The KMI Review Panel discusses the plays and reaches a determination whether the referee decisions on the field were correct or not. Both the red card issued to Mr. Ramos and the red card issued to Mr. Nocerino were deemed “correct” by the Assessor and were deemed “correct” by the KMI Review Panel. Furthermore, the PRO Assessor deemed the referee decision on the tackle made by Mr. Ramos as “Expected”, which means that it is expected that a professional referee gets that decision correct. Upon review by the PRO KMI Review Panel, the decision was upgraded two levels, to be a “Difficult” decision, which means that it is unlikely a professional referee can successfully make this correct call on the field. There are very few decisions per year in MLS that result in a “Difficult” rating. It is PSRA’s opinion that upgrading the difficulty rating of this decision indicates that when the members of the PRO KMI Review Panel discussed this play, they agreed that this was a case of extraordinary refereeing. In the incident regarding Mr. Ramos, the Referee correctly identified that Mr. Ramos made forceful contact with the knee of Mr. Vincent, and that the contact involved the exposed studs on Mr. Ramos’ shoe – an impact point that can cause additional injury to an opponent. Any vote to rescind a red card must be unanimous; this reinforces the message that only clear errors should be reversed. When an IRP review of a play is conducted, the referees involved are not contacted as part of the review process. The referee crew in this match was not contacted. Despite PRO internally deeming the red card to Mr. Ramos to be correct, PRO voted, as part of the IRP, to rescind the red card that was issued. This sends a confusing message to fans, players, coaches, and referees. 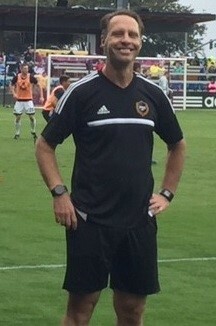 Consistent refereeing decisions can help create a higher-quality on-field product for the fans and can allow players to exhibit their skills at a higher level. PSRA is of the opinion that the PRO member on the Independent Review Panel is making a decision that may be based on the amount of public criticism toward the red card decision put forth by fans, input from the MLS Front Office staff, or any other source of information outside of the Laws of the Game. PRO should gather information from their officials and make a consistent, independent determination regarding the validity of a decision. The over-arching concern of the PSRA and of the professional referees we represent is that the decisions and the instructions given by PRO this week are a continuance of a long line of mixed messages that has been given by PRO to its employees. 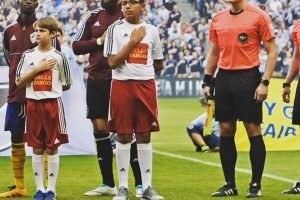 If MLS is expected to develop into one of the top leagues in the world, the decisions and instructions from the Professional Referee Organization will need to be clear and consistent, and PRO will need to stand firm in the face of the same scrutiny that their officials deal with on the field week in and week out.